How to start playing Slots Machine Games online and what to watch out for. Serious gamblers, of course, play online slots for real money, but there are many people out there who merely want to practice, or play entirely for fun when they have time to spare. Many online casinos offer this free game facility but some casinos are restricted from accepting sign-ups from certain regions, even if only to play for free. Similarly some deposit methods may also have restrictions so you will have to do some checking before playing. Although probably differing slightly in details, all online casinos will have similar signing up processes. Based on your location some casinos will have restrictions despite it being legal for you to gamble. 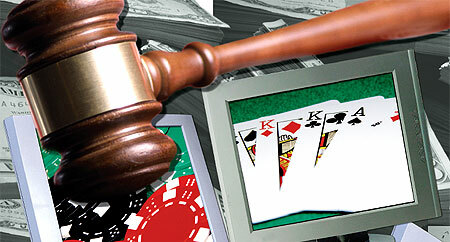 Determining the legality of gambling at the online casino is the responsibility of the player ultimately. Having managed to sign up, an email acting as both a welcome and verification, will be sent to you. After doing the verification you can begin playing free online slot machines. However, if you wish to play for real money you will need to make a deposit. There may be different restrictions and variations for making deposits into your casino account. Sometimes it is required that you have a bank account while it is not at others, and some will accept United States and Canadian residents while others may exclude them. Be sure to use a deposit method that your casino accepts to fund your account. Generally online casinos will offer welcoming bonuses to new players and these can range from between 50% to 200% of your initial deposit up to a specified amount. This results in you having more money to play with. Do, however, check the terms of the bonus offer as some casinos may stipulate that you wager all of your deposit before the bonus is earned, or that you must wager a certain amount within a set time period to qualify. Many casinos have free slots as well as online slots where real money is involved. Do ensure before playing or depositing money that it is legal for you to gamble online, as usually there are restrictions by country or by age. After finding a casino that you can play at, you will need to select a game to play from the many on offer by that casino. You will then wager using the balance in your account. If you have been lucky and won some money, or if you want to quit before losing all your money deposited, you just need to follow the casino’s withdrawal instructions. People are always on the lookout for lucrative online jackpots. Traditional slots machines and progressive slots machines fill this need. In the case of traditional slots jackpots there are lots of games which have ten thousand dollar or more jackpots. 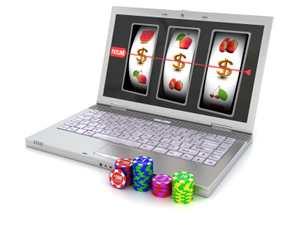 People are often seeking out traditional slots with high jackpots when gambling at online casinos. Some of the several which are available are Diamonds Down Under, a $15,000 coin maximum jackpot, and 5 Reel Circus, with a $22,500 coin maximum jackpot, both powered by Rival Gaming. There are also the Vegas Technology powered Princess Jewels and Cleopatra’s Pyramid, both of which have $10,000 coin maximum jackpots. With progressive slots, the jackpot has no limit as it accumulates across all games and all players until it is hit. This pool of funds can get as high as into the millions of dollars, one came in at eight million in fact. While not usually getting that high, in 2008 a jackpot was paid out for five million and jackpots hovering around the one million dollar mark are more common. Card Shark and Light Speed are RTG powered online slots machines that have progressive jackpot capabilities while Vegas Technology has Pay Dirt and Treasure Trail. There are some simple things to keep in mind when playing online slots machines, which will increase the chances of coming out ahead. • Make sure to read the pay table before starting to play. • Never irrationally chase after your losses as chances are in your state of mind you will never recover them. • Do not buy slot systems, as they never work. • Always bet at a level that you can afford. Set win, loss and deposit limits for yourself and stick to them. • Under no circumstance should you exceed your gambling budget. If you happen to be losing do not increase your bet. • And most importantly, walk away while you are still a winner.